Posted 10/5/2017 9:09am by Gayle Ganser. We are excited to share with all of you some updates, pictures and recipes through our blog. You can also see lots of updates via Facebook & Instagram of both the Farm & the Market!! 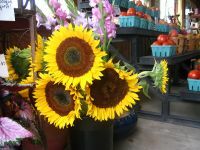 We hope you enjoy and please share pictures and recipes with us through our Facebook Page! 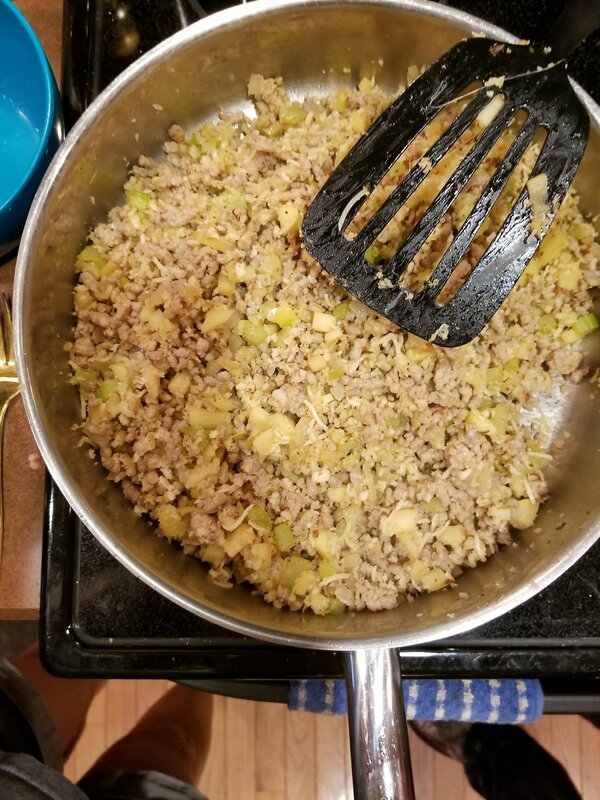 We shared a picture on Instagram the other day of a delicious meal we made with Our Own Local Acorn Squash & Local Jonagold Apples! Below we have shared the recipe, please let us know if you have tried and what you think!! 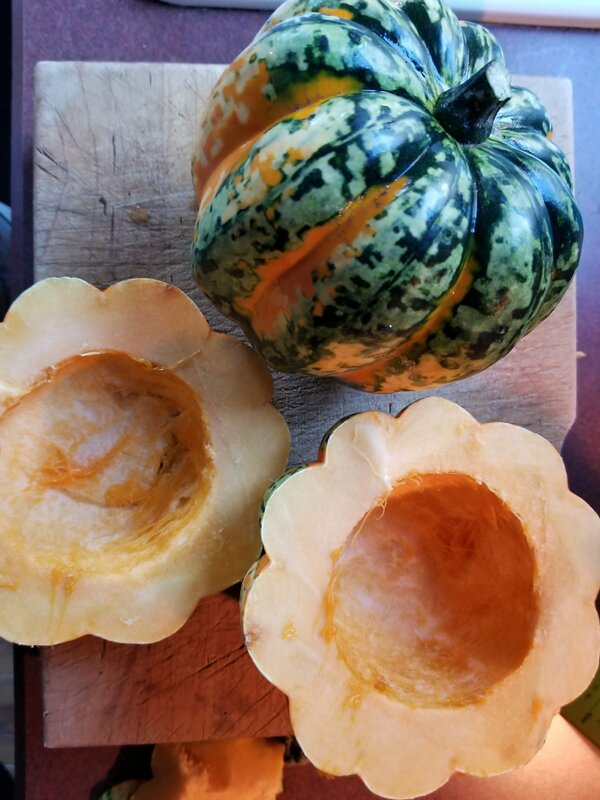 Using a sharp knife cut each end of the acorn squash, as little as possible. ( this can be a little tough, so I put it in the microwave for about 25-30sec. to soften it up). Then cut in half. 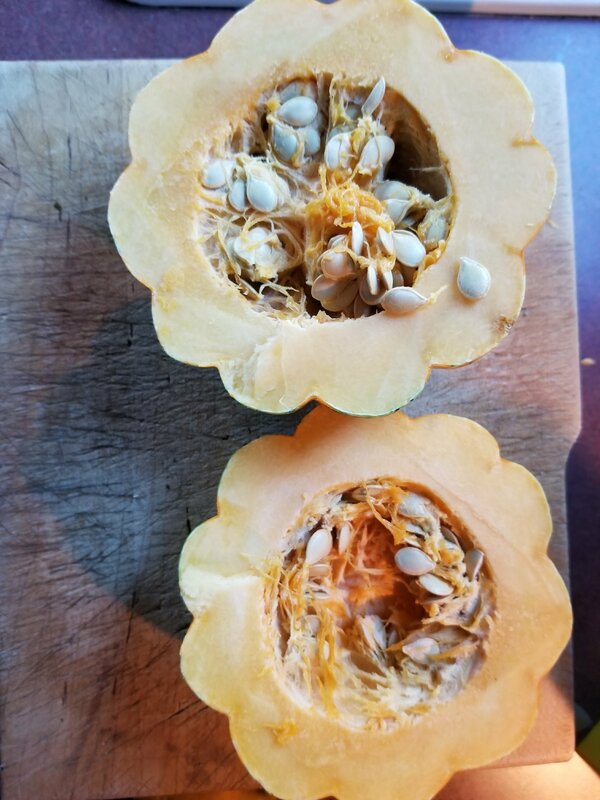 Scoop out the seeds, one of the halves will have a hole or thin amount of flesh at the bottom (this is fine). 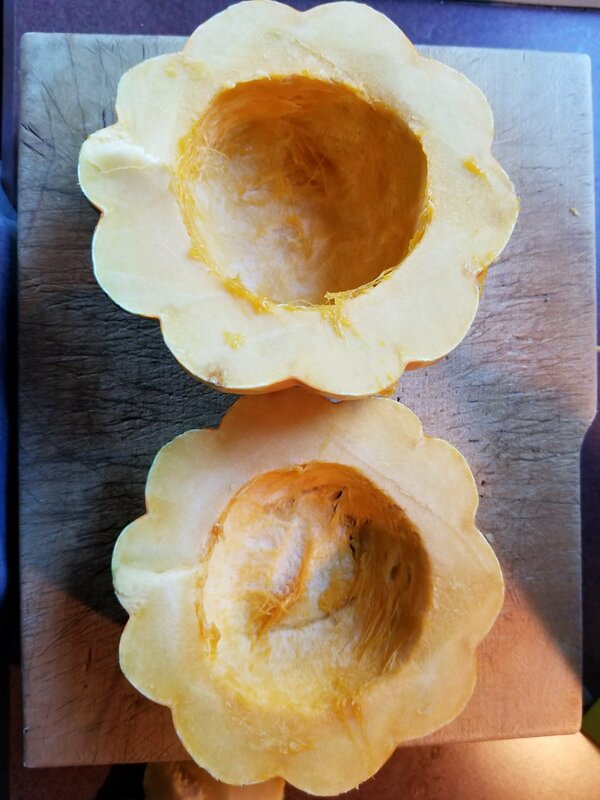 Brush the inside and top of the squash with olive oil and then put salt & pepper on top, to taste. 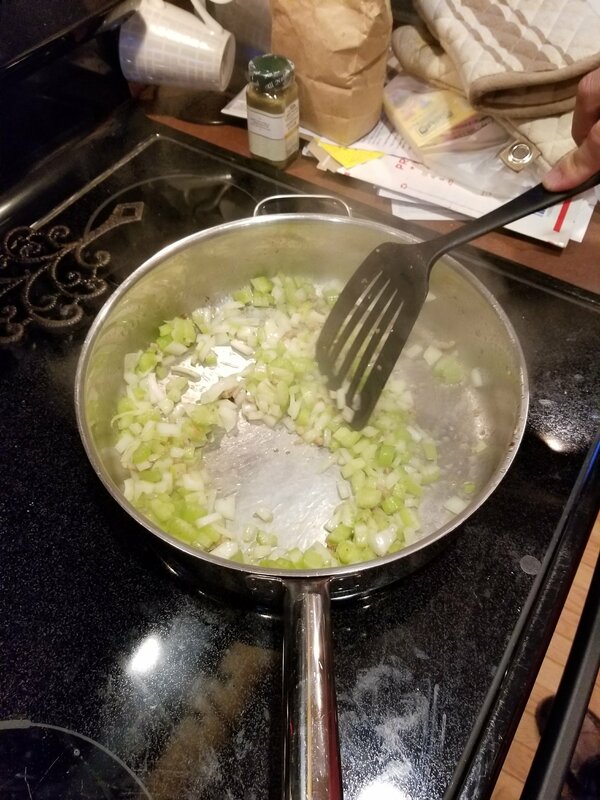 While the squash is baking, it is time to sauteed the sausage for about 5 minutes, drain but keep the grease in the pan (you will be using this to sauteed up the other ingredients). Put the meat in a bowl and try to soak up some of the grease left on the meat (we used a paper towel to soak it up). 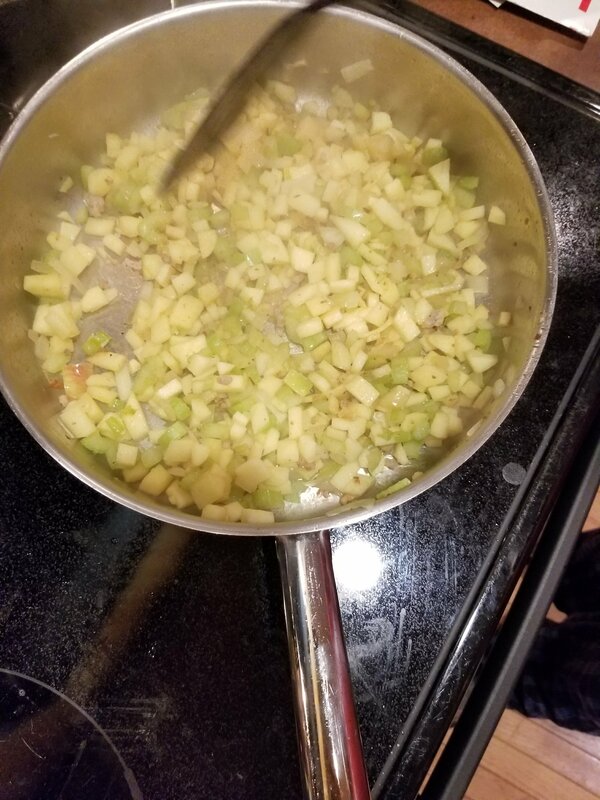 Add apples and sautee for another 2 minutes or until the apples start to soften. Add 3/4 cup of parmesan and mix in till it is starting to melt. Set aside. 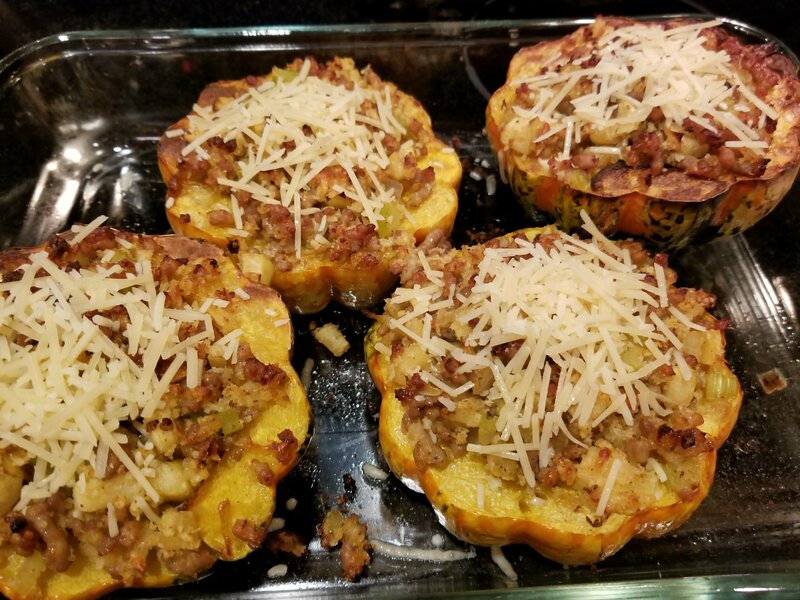 Once the squash is ready, pull put of the oven and scoop in the mixture until they are filled. Return to the oven and bake for another 15 to 20 minutes, depending ib the size of rhe squash (We did 15 minutes). Remove from the oven and top with the remaindernof the parmesan cheese. This turned out perfect, it can also be used as an appetizer. 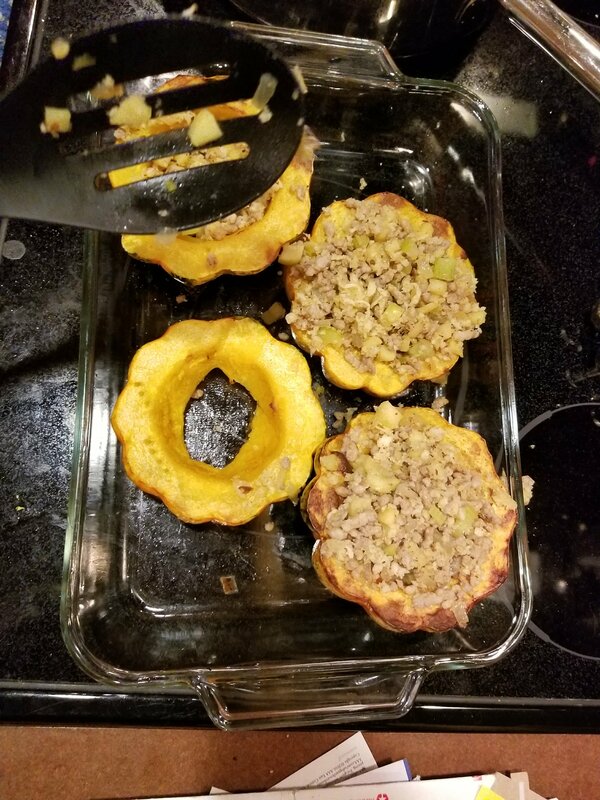 We enjoyed it as our meal, it had the perfect mixture of sweet, savory with a hint of that nutty taste from the squash.